St Paul’s, Covent Garden, WC2E 9ED. 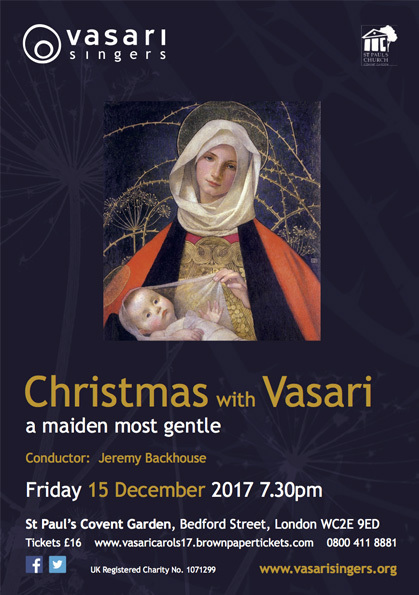 Join Vasari Singers in St Paul’s church at the heart of Covent Garden in London for an evening of festive carols. This event is always very popular and with limited tickets available, be sure to book early to avoid disappointment.